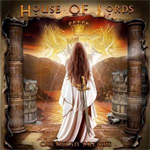 At the tail end of the 80�s House of Lords released their self-titled debut album to critical acclaim. The musical prowess behind this release was mainly attributable to the keyboard wizardry of Gregg Guffria and the fervent vocals of James Christian; this grouping conjured up a winning formula of majestic fuelled pomp and hard rock vigour that gave the band an almost regal sound. This resonance continued through two subsequent albums, both again excellent releases in their own right. Unfortunately, due to a change in the musical climate, brought on by the emergence of grunge, House of Lords, like a number of other bands from this genre, were forced into hibernation. In 2000 the original band resurfaced, minus Guffria, and gave us the disappointingly sombre 'The Power And The Myth'. This album lacked all the passion and prose of their previous work and disappointed most fans. James Christian also appeared to be dissatisfied with the outcome and set about transforming the band. This transformation was a dramatic one, appointing an all-new line. This resurgence was a successful move and gave birth to both �World Upside Down� and �Come To My Kingdom�, two excellent albums that were far more in keeping with the original sound and style established with the first three albums. �Cartesian Dreams� is the bands latest release and again it hits on this winning formula, but with added bite. This is none more evident than on the dramatic opener and title track. A crushing monster of a song that comes storming out of the speakers pinning you to the nearest wall. Next follows the throbbing sonics of �Born To Be Your Baby� another brooding number that captures the band in a domineering mood. �Desert Rain� continues this sentiment and proves that melody and muscle can be combined to stunning effect. Obviously the obligatory ballad is next up and �Sweet September� is a beautifully crafted song that simply soars, giving the album balance just at the right time. What follows are more big bombastic tunes showcasing James Christians commanding vocals and Jimi Bell�s crunching riffs. �Bangin��, �Never Look Back� and �The Bigger They Come� prove that the band is in the mood to continue tearing it up. Whilst �A Simple Plan�, �Repo Man� and �Saved By Rock� bring a more commercial slant to proceedings. Finally, just as I was expecting the last track �Joanna� to be a ballad, guess what? I was wrong! This is another gem of a rocker that possesses a catchy as hell chorus that echoes back to the bands early glories. Personally I believe this powerhouse of an album is the bands finest in almost two decades, and so far this year, the best melodic hard rock album of 2009. Bloody brilliant! I believe this powerhouse of an album is the bands finest in almost two decades, and so far this year, the best melodic hard rock album of 2009. Bloody brilliant!